Let’s face it: replacing your roof can be extremely expensive, time consuming, and overwhelming. 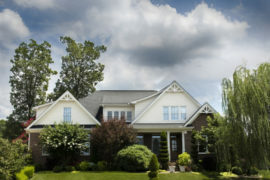 While you’re most likely going to have to replace your roof at least once in your lifetime, you shouldn’t abandon any tips and tricks to make sure you get the most out of your current roof. 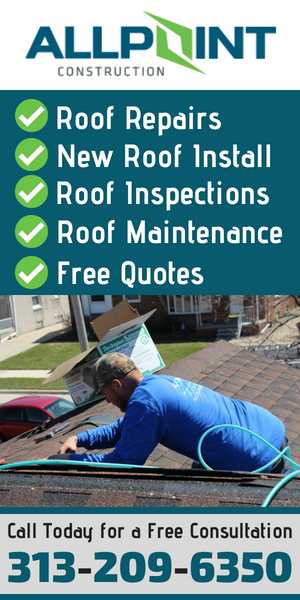 Keeping your roof in good condition can help it last much longer and when there is a problem having a qualified roofer in Dearborn Michigan repair or replace the roof is always needed. That being said, here are four tips to make your asphalt shingles last as long as possible! Keeping your roof clean is one of the easiest ways to ensure it remains durable and aesthetically pleasing. It’s easy for debris to accumulate on your roof, and more specifically on your asphalt shingles. 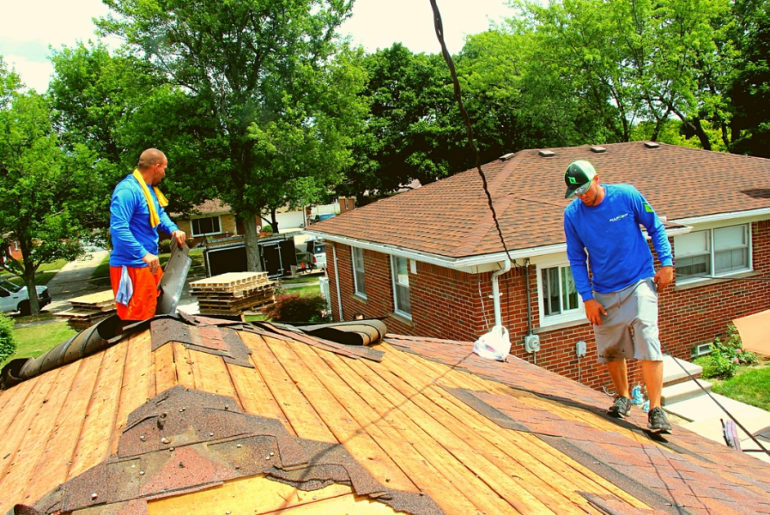 While a little bit of debris won’t cause any harm, too much adds extra weight, decreases durability, and can even lift your shingles. That being said, make it a habit to clean your roof at least once a year. If you want to ensure your roof has a maximum amount of protection from debris, consider cleaning your roof after a major storm or string of severe inclement weather. Like debris, it’s normal for moss and algae to grow on your roof. While algae isn’t harmful to the durability of your roof, it tends to stain asphalt shingles, so it’s not the most aesthetically pleasing thing. On the other hand, moss can severely damage your roof if it’s left alone. In order to avoid moss and algae from accumulating on your roof, routinely scrub or pressure wash your roof. If you want to ensure moss and algae are adequately cleaned from your roof, consider hiring a roofing contractor to clean your roof for you. It’s easy for homeowners to forget about their gutters. 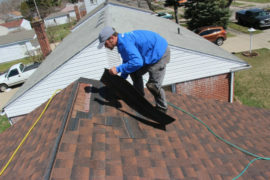 But, having healthy gutters has a direct correlation to the condition of your asphalt shingles and overall roof. That being said, it’s important to ensure your gutters are functioning properly. It’s easy for debris to accumulate in gutters and cause water depositing issues. Sometimes, scratches and holes can even cause moisture to seep through into your asphalt shingles. In order to prevent leaks, scratches, and other damages, make sure you routinely check and clean your gutters. There are many tools available today that allow you to clean your gutters without needing a ladder. Although it takes a lot for asphalt shingles to become damaged, it can still happen. If your asphalt shingles are damaged, the best thing to do is to fix the damage as soon as possible. So, it’s important to be able to recognize common signs of damage, so you can face the problem head on. If you notice small rocks or granules in your gutters, this is mostly caused by hail, wind, or another element hitting your shingles and causing them to shed. Excess moisture, such as from melting hail stones or severe rain, often cause light-colored rings in at least one large area. Wind, hail, and other weather conditions can cause broken or even missing shingles and threaten the overall durability and resilience of your roof. If the outer coating is wearing down, you’ll notice dark patches on your shingles. Like previously stated, don’t panic if you notice any of these things on your asphalt shingles or roof. Simply, give your local contractor a call so they can fix the problem before it causes further damage. 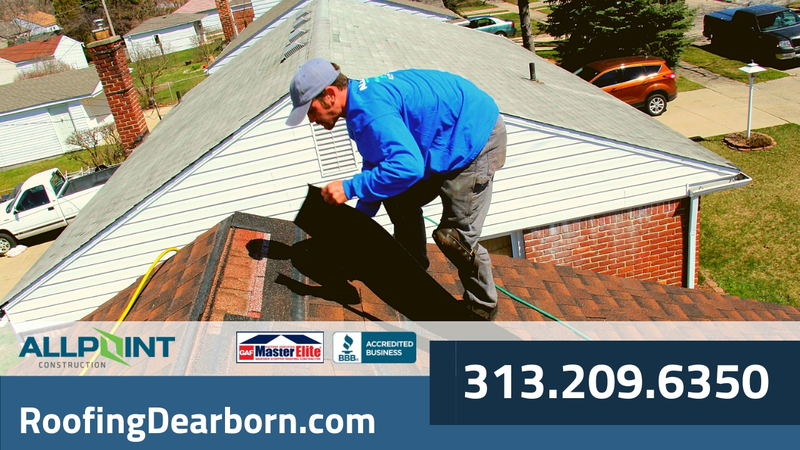 Be sure to call Roofing Dearborn if you have any roof problems on your Dearborn Michigan home.